The British Commonwealth Occupation Force (BCOF), was the name of the joint Australian, Canadian, British, Indian and New Zealand military forces in occupied Japan, from 21 February 1946 until the end of occupation in 1952. At its peak, BCOF comprised about 40,000 personnel, equal to about 25% of the number of US military personnel in Japan. 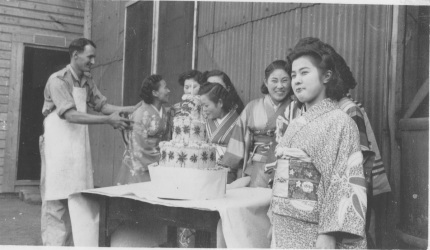 While US forces were responsible for military government, BCOF was responsible for supervising demilitarisation and the disposal of Japan's war industries. BCOF was also responsible for occupation of the western prefectures of Shimane, Yamaguchi, Tottori, Okayama, Hiroshima and Shikoku Island. They were also supported by the Women's Auxiliary Service (Burma). BCOF headquarters was at Kure. 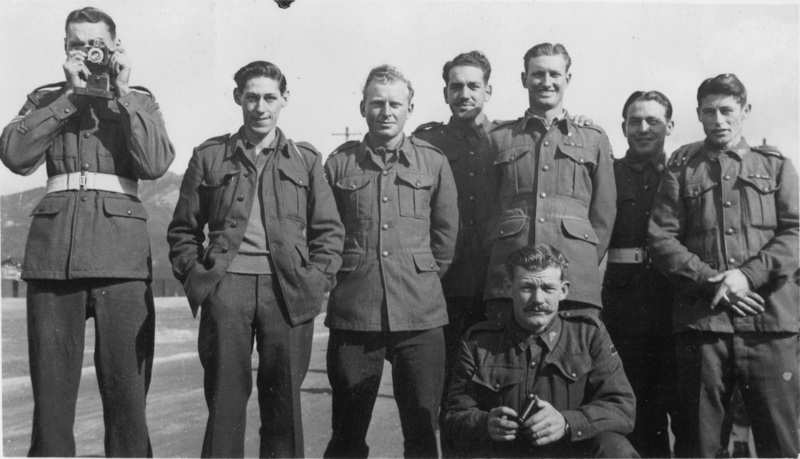 For most of the occupation period Australia contributed the majority of the BCOF's personnel. The initial BCOF presence included the Australian 34th Brigade, the 9th Brigade, 2nd New Zealand Expeditionary Force (J Force), and BRINDIV, a British/Indian division of two brigade groups, the British 5th Infantry Brigade Group (from 2nd Infantry Division in India), and the 268th Indian Infantry Brigade. Major General David Cowan commanded BRINJAP Division from 1945 to 1947. The position of commanding officer was always filled by Australians: Lt Gen. John Northcott, February to June 1946; Lt Gen. Horace Robertson, June 1946 to November 1951, and; Lt Gen. William Bridgeford from November 1951 until the end of the occupation. One Man's Story in Hiroshima. Daniel Patrick Crane was born on the 30th January 1924. KIng George V ruled the British Empire. Stanley Bruce was Australian Prime Minister. Dan grew up in suburban Buranda in Brisbane. He did not have a full education and gained work as a packer. On the 20th February 1942 at the age of 18 years old he enlisted for Military service at Annerley in Brisbane and was stationed with the 15th Battalion. After enlistment, Dan trained in Boggabilla and found himself involved with anti aircraft artillery and was graded as a Group 3 Gun Layer The gun layer had to sit on the seat and he had to watch the dial for directional firing. And, of course, there were the other positions such as loading also. On the 25th July 1943 he embarked from Townsville on the Duntroon and found himself in Port Moresby. He took part in various actions in New Guinea and in March 1943 returned to Townsville on the SS Taroona. 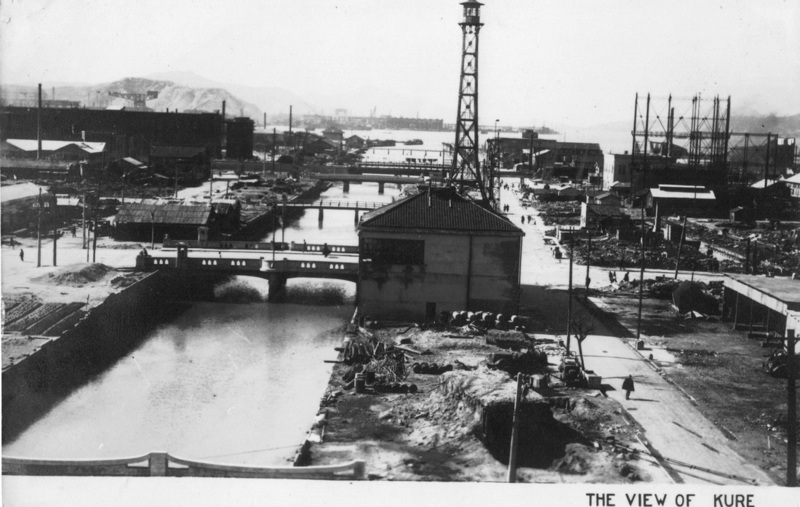 He was reassigned to a training contingent at Cunungra and finally as the war was coming to an end in the Pacific took up positions with Brisbane Base watercraft workshops that were occupied with maintaining transport ships. Many of these groups had service in New Guinea. Dan remained in Brisbane in this new role until he was transferred from the Artillery regiment to the 195 Australian Supply Depot and he stayed there until February 1946. Life was about to take another change in direction for young Dan though. Just 6 months previously on the 6th August 1945 the atomic bomb was dropped on Hiroshima and 3 days later a similar fate for Nagasaki in Japan . The war in the Pacific was over finally. By February 1946 the BRITISH COMMONWEALTH OCUPATION FORCES had been mobilised and Dan was again reassigned to the 16th Infantry Training Brigade and on the 30th April 1946 he embarked on the Manoora from Sydney for Kure city in Japan. It was here in this far off land that Dan and his fellow soldiers took on a new role. 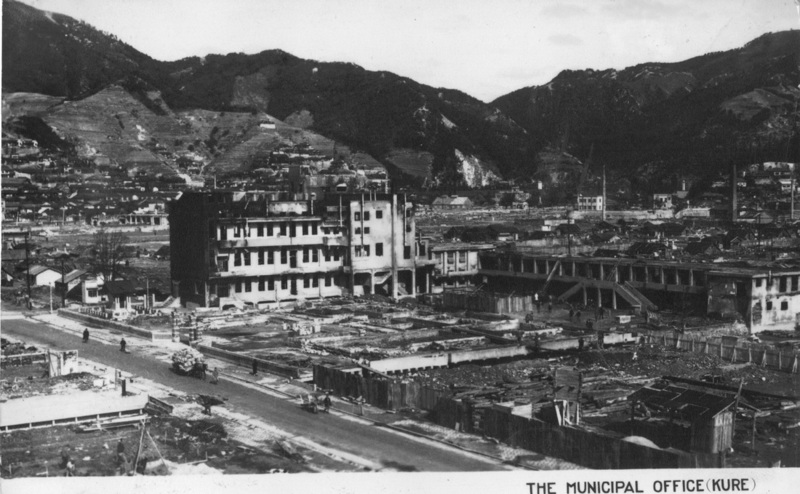 Dan was now a member of the BCOF ( British Commonwelath Occupation Forces) He was now reassigned yet again to the 34th Brigade A Field Battery RAA and spent time in Kure, Hiroshima, Kaitachi, Hiro and Tokyo .Some of his duty was ceremonial but also assisting with rebuilding of a devastated land. The American soldiers were given postings around Tokyo but the Australians were stationed around Hiroshima and Kure . The BCOF story is a one of courage and determination in a role that was neither combatant nor confrontational as the war had been just months previously. A defeated nation was now under the control of a foreign force that included Australians, British, New Zealand and Indian forces. 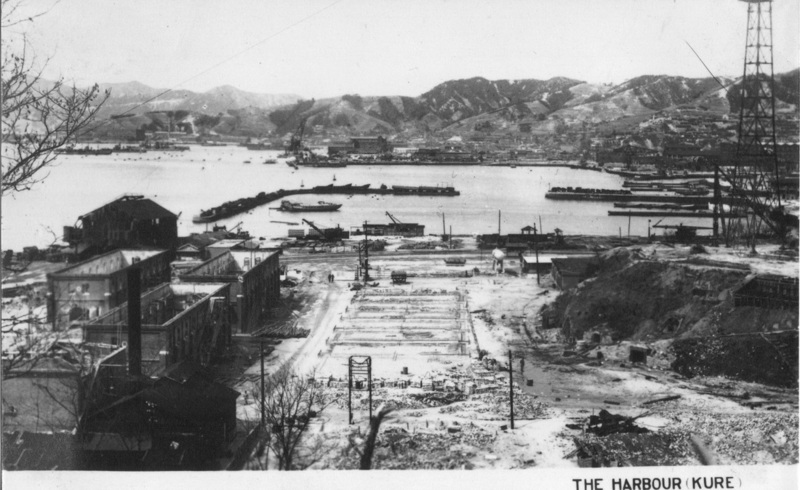 As part of the 34th Brigade, responsibility was to provide security and enforcing Armistice conditions in Hiroshima Prefecture. During this time the Brigade was involved in providing security for elections, locating and destroying war equipment and stores and ceremonial duties including mounting guard at the Imperial Palace in Tokyo. Finally in July 1947, Dan returned to Australia on the Kanimbla and in August 1947 was discharged from Military service to begin another life . Most BCOF forces were removed from Japan by 1948 with all forces redeployed with the outbreak of the Korean war. More than 16000 Australians spent some time in Japan as part of the BCOF. From 1946 until 1952. The Australian experiences of occupation encompassed power, prejudice and possibly violence, but it also engendered friendship compassion and even love which remain as legacies today. Dan Crane's photographic diary portrays a glimpse of life for those 15 months in a land full of rich culture and unique conditions. 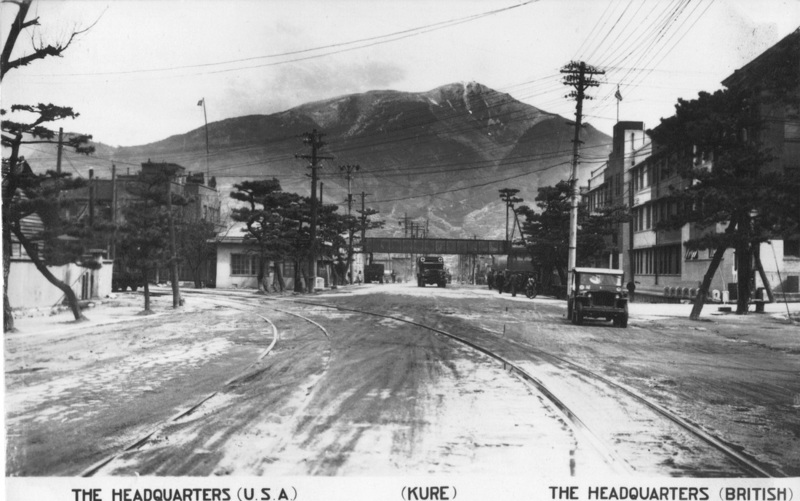 Kure was a port city and a significant military establishment . It was here the YAMATO and her sister ship ,the largest of the Japanese battleships were built. Dan and his fellow BCOF soldiers were involved in may different activities. Depending on their particular role, some were responsible for disarming and destroying military establisments. Some workrd to get essesntail services up and running . Others were responsbile for certain aspects of law and order in the wake of food shortages and other conditions. Some of them including Dan even had the opportunity to go to Tokyo for ceremonial roles guarding the Imperial Palace and providing guards of honour to welcome foreign dignitaries and the Military leaders including Douglas Macarthur himself.